Need some ideas for your Halloween costume this year? You're in luck with these simple yet stylish DIY Halloween costume ideas. The best part is that you can use elements of your costume in your everyday wardrobe even after Halloween is over. A good zombie costume never gets old when it comes to Halloween. The great thing about zombies is that you can wear whatever you want and it will still work, all you need is plenty of fake blood. Although, if you want to dress up your zombie costume this year, consider wearing a black dress or a dress shirt with nice pants. A simple black dress not only adds elegance to your costume but also goes with everything. As for a dress shirt, you can roll one sleeve up while leaving the other down to add some dishevelment to your look. The only thing left to do after putting your costume together is mastering the zombie walk and talk. It's easy to dress up as your favorite princess for Halloween considering they each have a color scheme they follow closely such as Rapunzel being lavender or Sleeping Beauty being pink. All you need to get your princess-perfect look is a long sleeve blouse or short sleeve t-shirt, a coordinating skirt and makeup if you want. Dressing as a rabbit this Halloween can be a piece of (carrot) cake… see what I did there? All you need is a dress of your choosing, or a dress shirt and pants, and some bunny ears to make your costume complete. If you want to really look like a rabbit, then you can get some face paint to add in the extra bunny details like their whiskers and pink nose. Since it's getting cooler, a scarecrow costume may be just what you want for this Halloween. 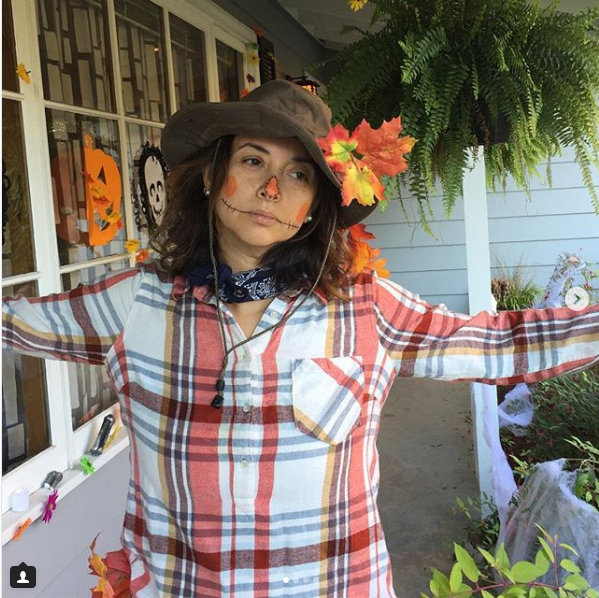 All you need for your scarecrow look is a plaid top, some blue jeans or khakis, and some face paint. If you want a more scary version of a scarecrow, take a look at this Zombie Scarecrow Halloween Makeup Tutorial from Desi Perkins.